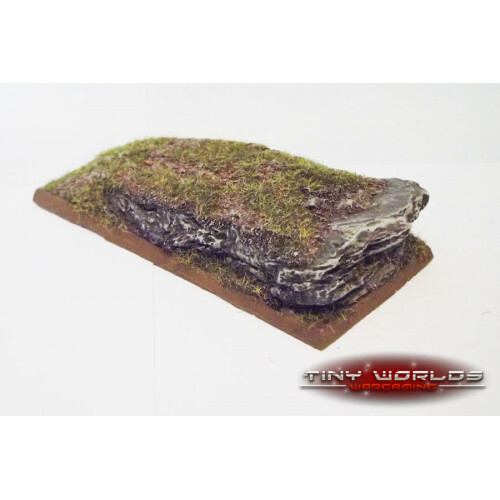 A detailed 100mmx50mm chariot miniature base perfect for various fantasy wargames. This striking base presents a sculpted rock/slate pattern and is perfect for adding that extra level of detail to your wargames miniatures, swiftly and conveniently. Manufactured from a durable cast polyurethane resin, these bases are sold unpainted and without flocking. Painted samples shown to clarify detail and show the achievable completed item. The bases are straightforward to paint with a superb level of detail and can be readily mixed with bases made by many other manufacturers to make a one-of-a-kind army.